Sahil Suri knows the power of education. With this in mind, he co-founded an organization to help refugee students achieve their full potential despite their circumstances. Dreamers Without Borders has already provided free educational resources to thousands of refugee students worldwide. Sahil, who is in charge of technology and social integration, is hoping to expand the organization’s reach by working with the Boy Scouts to create a badge to spread awareness of refugee issues. 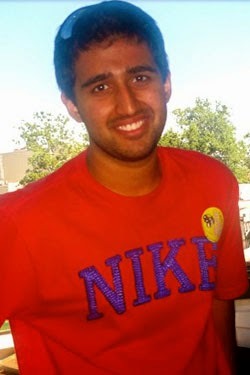 With the help of his Elks National Foundation scholarship, Sahil will continue to initiate social change. “Global efficacy says that each individual has the ability to make real change in the world,” says Sahil. “Elks scholars genuinely encompass that belief and incorporate it into their everyday lives, striving every day to make a positive change in the world.